One of the hallmarks of being profitably popular is generating content. That means you need to be almost constantly immersing yourself in new ideas and engaging with them in new ways, with the ultimate goal of filtering the best ones and sorting them for your ideal client. 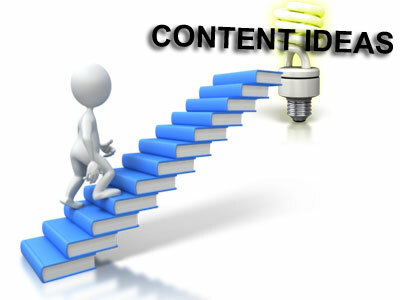 The challenge in this approach is curating content and coming up with great content ideas can take a lot of time. I know of what I speak — I’m one of the most mentally active people I know, and even I sometimes feel content-challenged. This is a big one. You must create space to create your content. There is a reason why the “write one blog post per day for 30 days” type challenges work. They give you a writing discipline and get you in habit of creating content regularly. This means that each time you’re engaged in a life experience, think about what lesson, teaching, metaphor, or insight you might glean from this that you can share with your target audience. The goal with this is not to make it forced, or to try to draw connections where there really are none. But, on the other hand, if you remain open, you can very often find good content ideas as you move through the rest of your life. 3. Have a method to capture ideas when they show up. If you’re like most people, you get your best ideas when there is no way you can capture them. This is why it’s wise to keep a small notebook with you (even on your bathroom counter in case you get great ideas in the shower) or use the voice-note function on your Smartphone. Have a way to capture your ideas as they come to you; this can be a touchstone for you when you’re thinking about what content to create next. If you’re feeling really stuck, revisit some of your existing content that is working really well for you. Find a way to extend, enhance, or dig deeper into something that has already received some positive attention and notice. You can link your new article to your original one, which also has some authority and search engine benefits too. Plus, people like to read series, and will often read both articles if they are linked. Make time each week to invest in new ideas. You might watch some videos, read some new books, or check out some new blogs or RSS feeds. The best way to keep ideas flowing is to regularly make time to expose yourself to new ideas. You can do this while you exercise, travel, or are doing some work around the house. Experience new viewpoints to round out your thinking and help you come up with new perspectives and metaphors. Using these five strategies will help you come up with new ideas your visitors love to read.